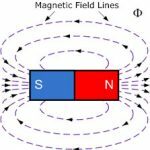 Total Flux (∅T): If a current is passed through the N turns of the exciting coil wound on the magnetic core having an air-gap. A total flux ∅T produces inside the limb on which the coil is wounded, due to the coil mmf(IN). 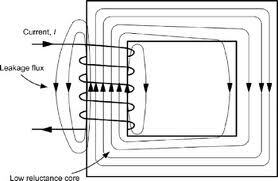 Leakage Flux (∅L) : All the flux (∅T) cannot pass completely through the core circuit. Some flux leakage flux (∅L) and the phenomenon is known as the magnetic leakage. Useful Flux (∅U): The remaining flux passes through the regular core path and enters the air-gap which is intentionally provided for useful applications of the flux. 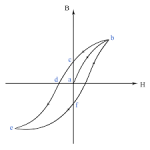 Therefore such flux is known as the useful flux (∅U). Leakage factors or leakage coefficient (ℷ): Due to the magnetic leakage, the total flux has to be increased to get the required amount of useful flux in the air-gap. The amount of leakage flux can be expressed by the term leakage factors ℷ. 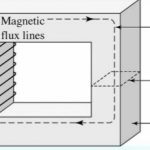 Method of reducing leakage factor: the magnetic leakage is undesirable because it results in increased mmf or magnetizing current for the same amount of useful flux. 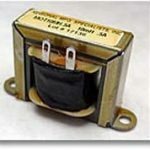 Hence the magnetic leakage flux is minimized are minimized by winding the coil-turns over the full length of the magnetic core.